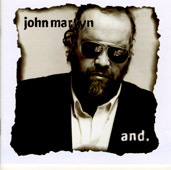 The Official John Martyn Website - Page 2 of 2 - Maverick singer, songwriter and guitarist extraordinaire! The Official John Martyn Website - Page 2 of 2 - Maverick singer, songwriter and guitarist extraordinaire! Gavin’s family announced on facebook, “We are heartbroken and so sad to have lost him. As a family we scattered his ashes at this, his favourite beach in Devon last weekend.